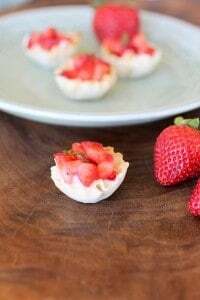 Fresh strawberries, basil, and lime zest make these Strawberry Basil Tarts an easy no bake strawberry dessert recipe! Yogurt and ricotta are part of healthy strawberry dessert. No oven required. How good does that sound? As summer kicks into high gear, the last thing I want to do is add heat. 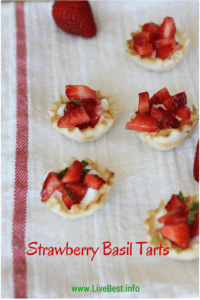 These cool Strawberry Basil Tarts deliver flavor and freshness, without turning on the oven. Have you seen fillo (or phyllo) shells in the freezer section of the grocery store? Prebaked, they make a super simple dessert (or breakfast dessert), that looks better than “super simple” might imply. Too often, desserts look better than they taste. Not these. Juicy strawberries, fresh basil ribbons, and lime zest are peak-season summery ingredients that make the tarts as pretty as they taste. But let’s not stop at strawberries. For other combinations, think about chopped peaches with crystallized ginger, or sliced bananas, chopped nuts, and a chocolate drizzle, or toasted coconut. 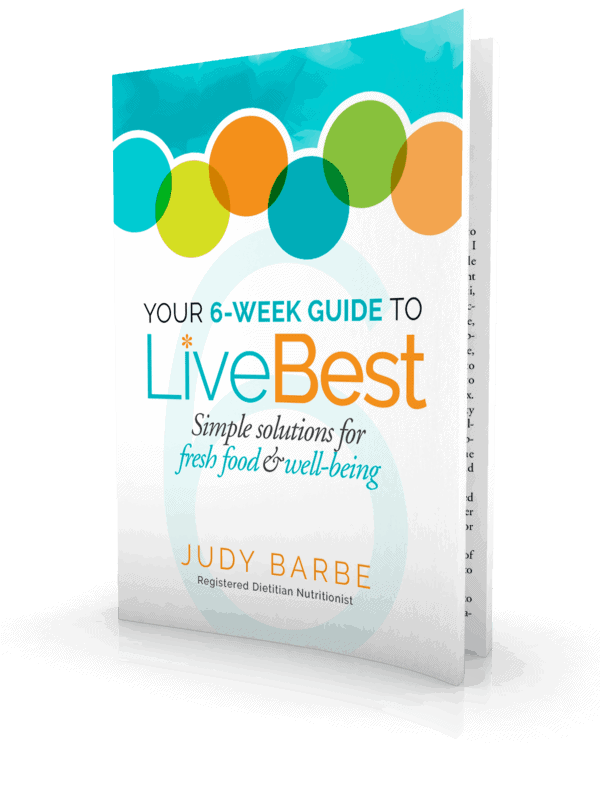 …even better is the creamy filling is actually good for you. A blend of yogurt, ricotta cheese and a smidgen of powdered sugar and lime zest, no one will know that this dessert helps build bones and lower blood pressure because of the calcium-rich ingredients. Even more cool is that this yogurt-ricotta filling is versatile. I tried it on French toast with strawberries. Good. Dipped orange slices in it. Yummy. Next up? Apple slices. All this is in a bite-sized sweet. And no cooling rack required. Yay! Strawberry fans may like this super simple Strawberry Cucumber Salad. Yogurt fans may also like my Orange Cranberry Tart. 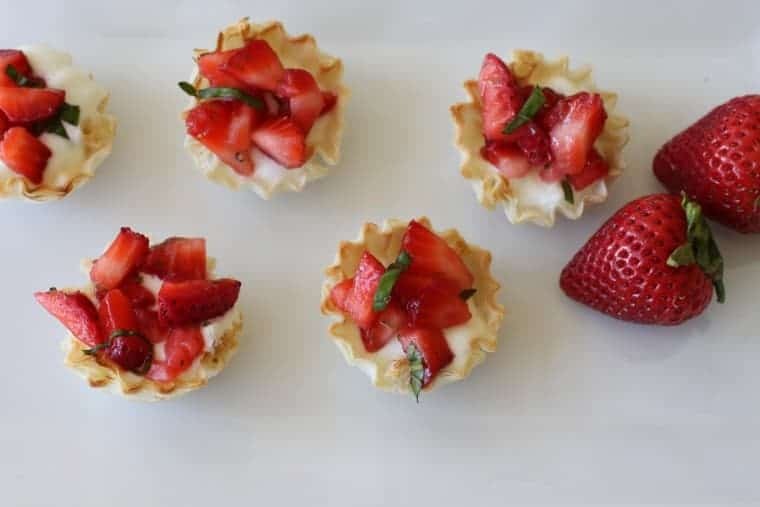 Pin Strawberry Basil Tarts for later! Juicy strawberries, fresh basil ribbons, and lime zest are peak-season summery ingredients that make the tarts as pretty as they taste. Filling: In a small bowl, combine strawberries, basil, lime zest, and pepper. Set aside. In another small bowl, combine yogurt, ricotta, and powdered sugar. Stir to blend. Refrigerate until ready to assemble tarts. 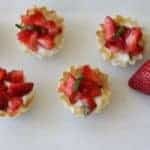 Tarts: In each shell, spoon a teaspoon or two of yogurt cream. Top with strawberries. The shells absorb moisture so become soggy over time. Best to fill close to serving time. Baking the empty shells will enhance the crispiness. Be sure they cool to room temperature before filling. I see those phyllo shells everywhere! Love your ricotta cream for filling them, especially the touch of pepper. strawberry and basil sound like such a tasty combo!!! Hi Rachel, thanks! Sounds like and actually does make a tasty combo! 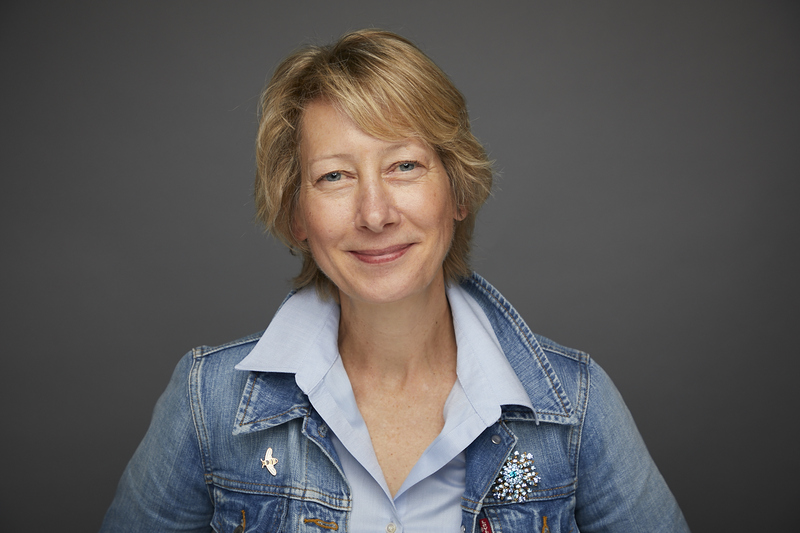 Whoo hoo – thrilled to have you on board with ReDux 🙂 Loving the strawberry basil combo (and especially the no-bake angle as it’s 95 F here in Philly today. About that hot here too! Looking forward to seeing what I (and the others) come up with for ReDux. Thanks, Karli. I love to play with flavor profiles, so many choices…If you make them, let me know how they turn out.